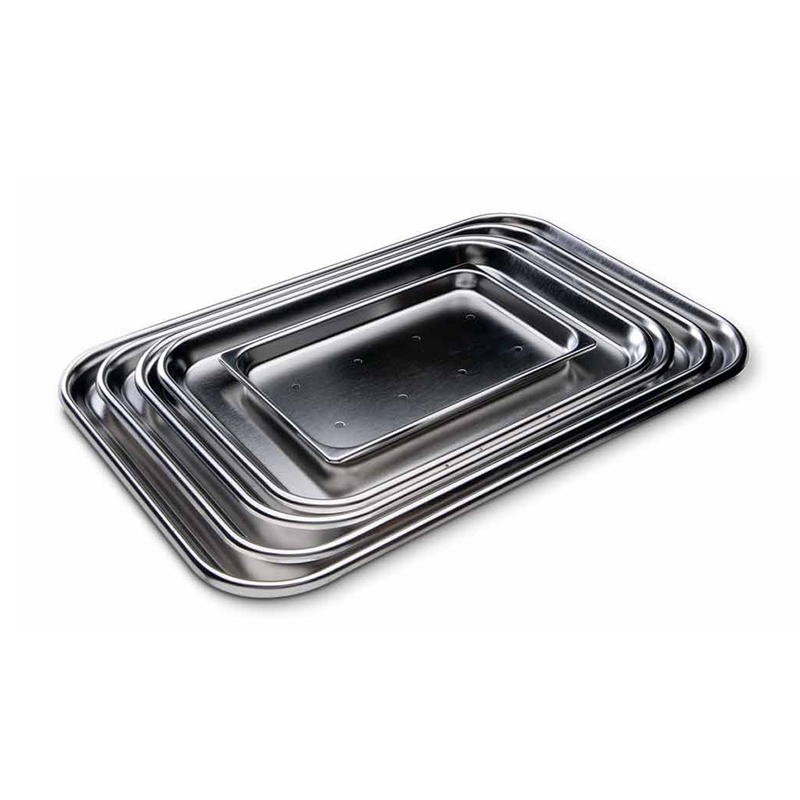 These stainless steel trays are excellent for steam sterilization without moisture build-up. They feature coved corners and large, open bead allow for easy handling, stacking and cleaning. Perforations allow for drainage. Constructed from heavy-duty 304 18-8 stainless steel and finished to provide a durable and corrosion resistant surface.